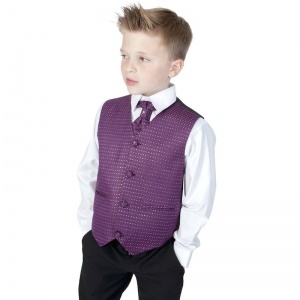 Boys purple & black 4 piece waistcoat suit for baby boys, toddler or older boys. 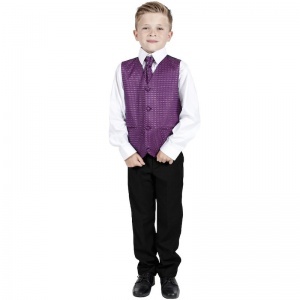 The perfect boys suit for a wedding. Trousers: Black trousers, double pockets, belt hoops, elasticated on rear. 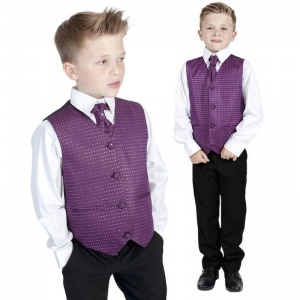 This boys wedding suit in purple will make him look like the perfect handsome gentleman at the occasion.